If you are considering exterior painting in Woodstock GA for your home, contact the painting professionals at One Man and A Brush. 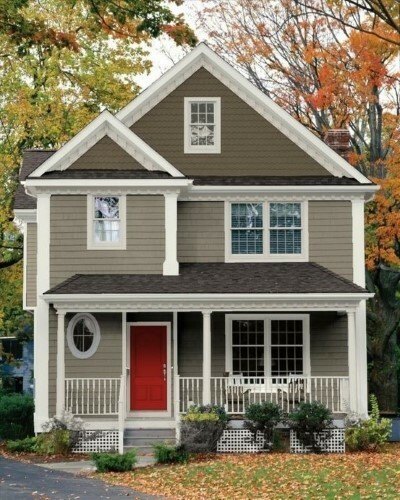 Painting your home's exterior takes more than carefully selecting a color. There is a lot of consideration and planning that goes into painting the exterior of your home. Our painters are experienced professionals. You can trust our services with the confidence of knowing you will love your home’s new outside paint color. One Man and a Brush Exterior Painting in Woodstock can renew and protect your home surfaces as well as showcase its character. 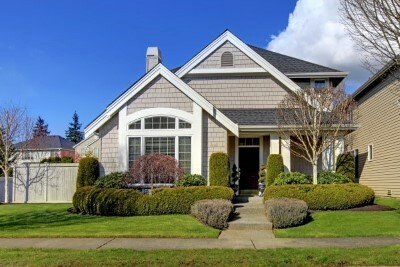 And, while selecting the right house paint color is critical, choosing the right paint and using skilled painting application techniques are also key steps to a beautiful, lasting exterior paint finish. Affordable painting on the exterior of your home is among the most popular home improvement projects that the majority of homeowners undertake to give their houses a quick but considerably noticeable spruce up. If you want to get the most out of your painting project, then you'll want to be sure to hire a qualified exterior painting Woodstock GA contractor. Choosing someone to work on the exterior of your home is one of the most important decisions you make that will determine the outcome of the project. That’s why more & more homeowners are looking to One Man and A Brush for professional, clean, on-time and on-budget painting in Woodstock GA and around North Metro Atlanta. Painting may seem simple enough, but it takes a lot of skill and experience. If the painting contractor has little to no skill, you’ll end up with a finish that is not up to par or has to be redone. If your aim is to get the most value out of your money, you’ll know what to do - call One Man and A Brush first! From siding to shutters, front doors to trim, exterior painting gives you the opportunity to completely change the look or simply restore the original beauty of the outside of your home. Take a moment to walk around the exterior of your house; look at it from the street. Make sure the house paint colors you select complement your home's permanent features, such as brick or stone accents, walkways, roof colors and landscaping. Generally three house paint colors are combined to create an outside painting color scheme: one for the house body, one for the house trim and one for the front door and shutters among other accents. While neutral tones are often used on the exterior body of the house, distinguishing house color finds opportunity on house trim and accent areas. In this difficult housing market time, more and more homeowners are finding ways to make their current home fit their needs. This means home improvements are on the rise in all aspects of the house. Considering that the exterior of the home is the first thing guest and neighbors see many homeowners have made the decision to make the exterior of their home a priority. Outside painting is one easy and affordable way to make the most out of your homes value. Whether you are painting outside aluminum siding or fiber concrete siding, there are lots of advantages to taking this step with your exterior house care. Take a look at some of the benefits you will enjoy when you add painting to your list of things to do. As much as no one wants to dwell on it, outdoor painting can add value to your home in these unstable financial times. Even under the best of economic conditions, it’s a smart idea to be continuously improving the equity in your house. The hard financial times will pass and when they do, your home will be ready for the next step whether it is to sell it or add your own new memories. It’s worth it in the long run to hire a professional painters for exterior painting. We will be sure that the job is done correctly and will stand the test of time. Besides how the bank or mortgage company sees it, exterior painting Woodstock GA is more than just a way to add equity to your home. There are few things more pleasant in life than to come home and really like what you see. Changing the existing exterior color of your home or simply have the house paint freshened up will make you love your home even more. Whatever way you go, you will have the satisfaction of seeing the exterior of your home look as good as you always knew it could. Get creative or stay traditional, the choice is up to you. At One Man and A Brush, how we paint your home is as important as what we paint on your home. And to make that decision process enjoyable and error-free, we offer a free, no obligation exterior house painting color confidence consultation with every estimate or awarded project. When we meet for your estimate we will discuss exterior color basics, including types of exterior paint & sheen varieties, how exterior color continuity can create harmony and visual interest, how exterior color temperature can alter the mood of a space and how to use exterior color accents. Your Woodstock area home will look marvelous when our professional painting contractors are finished with your exterior painting project! There are a lot of things to consider and plan for your exterior painting. 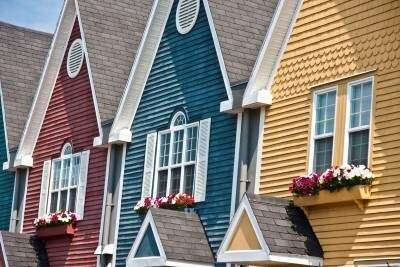 Painting your home's exterior takes more than carefully selecting a color. For instance, you will need to decide on what style or special finish you may need or want. Our Woodstock Exterior Painters are experienced professionals who know and understand all aspects of exterior painting. You can trust our services with the confidence of knowing you will love your home’s new exterior paint color. Whether you just need your trim painted or your entire home, we can meet all your exterior house painting needs. If you are looking for Quality Painting in Woodstock GA or N. Metro ATL. Please call One Man and A Brush at 678-368-5115 or complete our online request form.